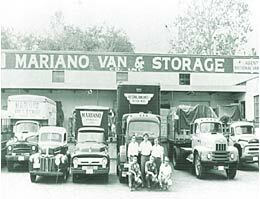 Mariano Brothers is a rigging company and crating company founded in 1948 by three brothers who realized their success would depend on dedication to professional expertise and providing unmatched customer service. Today, the third generation of Mariano Brothers remains committed to their traditional ideals, while incorporating the demands of an ever-changing business world. We provide machinery moving services throughout Westchester County, Waterbury, Fairfield, CT & surrounding areas. 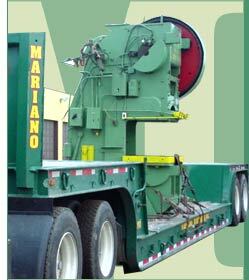 Mariano Brothers has the experience, personnel and equipment to move machinery and equipment of any size, safely and quickly. Each of our seasoned foremen have over 20 years experience in machinery moving. Precision and coordination are critical, whether you are moving a single piece or an entire plant. We can handle all aspects of your project including but not limited to crane service and heavy hauling. Contact us for sculpture moving & crating company services! 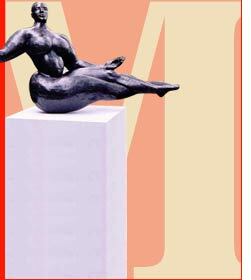 Mariano Brothers has 30 years of experience moving and installing all types of sculptures and monuments. Galleries, museums, artists, and conservators all appreciate our ability to respond promptly with professional service and attention to detail. We maintain our own carpentry shop for custom crating and packaging for local, long distance and overseas moves. Our crating company uses crates that are designed to be re-usable.